The world of adoption is a beautiful place. And, I belive God gave women “something” that drives it….. our husbands love it, just the same but there’s something about a women, a mama, that just pushes this thing forward like nothing else in the world. These mamas I’ve met over the past few months as we jumped into this new world are some of the most amazing women I’ve ever had the grace to meet. My goodness. These women love the Lord, understand and love the concept of adoption in both “real life” and by the foundation of Christianity. I mean, if we’re believers we’re all adopted, right?! (scream!!!!) And, what I love most about adoption is that you get the chance to adopt interracially! .. and, what does that look like? Multiracial families in the world that are apart of a much mroe huge, enormous, impactful multiracial body! (WHOA!!!!) … And, I’m pretty excited about that. If God blesses us with the little lady we’re hoping by the grace of God to adopt, we’ll be apart of that group that’s showing God’s LOVE to the world. A love that is not based on color, ethinicity, background, or hair texture! lol… seriously. Adoption is all about love….. a love you cannot hide from, a love that just makes you so much more passionate about life. It changes you. One of my fellow adoptive mamas, Jenna (blog, Instagram: jenlknight), is in on a LOVE challenge started by Lyndsay (blog, Instagram: lyndsayalmeida)…. For 14 days in February. From today until Valentine’s Day, they, along with 13 other ladies, have challenged us to love on people with our talents, treasures, time, and words. And, I will add along with that – testimonies. We as Christians have the opportunity to SHOW Christ to the world in very tangible ways…. well recieved ways that prompt further questions of “Why are you doing this? ?” vs bible beating and sin bashing that pushes people away from such an amazing, forgiving Savior. How do we show Christ? By being super spiritual, serious folk who care judgy and have our noses in the air? NO WAY! By doing what he did and LOVING on the world! The difficult, the tiny tots, the eldery, the ORPHAN, the mailman, the classmate, the student, the neighbor! By smiling and the stranger in the store, saying hello, sharing a kind word to someone you know needs it even when you don’t feel as if they deserve it. THAT is how! C’mon and join in on the fun! Share the love!!! 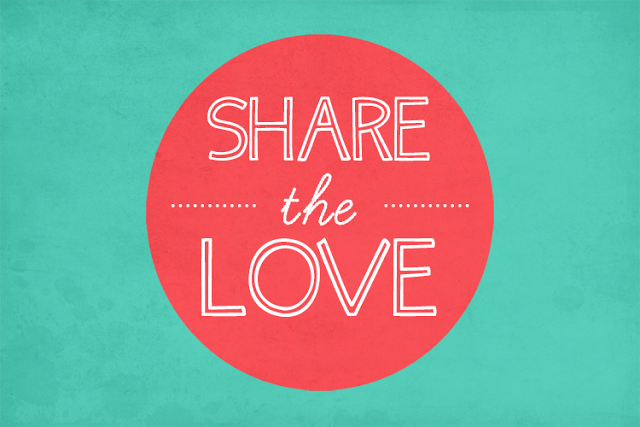 When posting on Instagram, Facebook, or Twitter use the hastag #sharethelove2013 so everyone can see how you are sharing Christ’s love to the world! …here’s to using the month of love to form an intentional habit of loving people! I can’t wait to see how God moves this month!!! FEBRUARY is going to be big! How exciting! & thank you! I can’t wait to get a minute to read through your blog!!! !